To ensure that we maintain the opportunity for parents to enroll their children in the excellent Catholic elementary schools within our Diocese, we have created a special way for you to assist the Diocese of Rockford in supporting schools that have operating deficits and need your help to become financially viable. 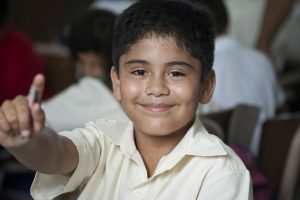 Your support through prayer and donations will help our underprivileged schools continue to provide a quality education, and religious and moral formation in a world badly in need of Gospel values. To make your donation, please click the link below.